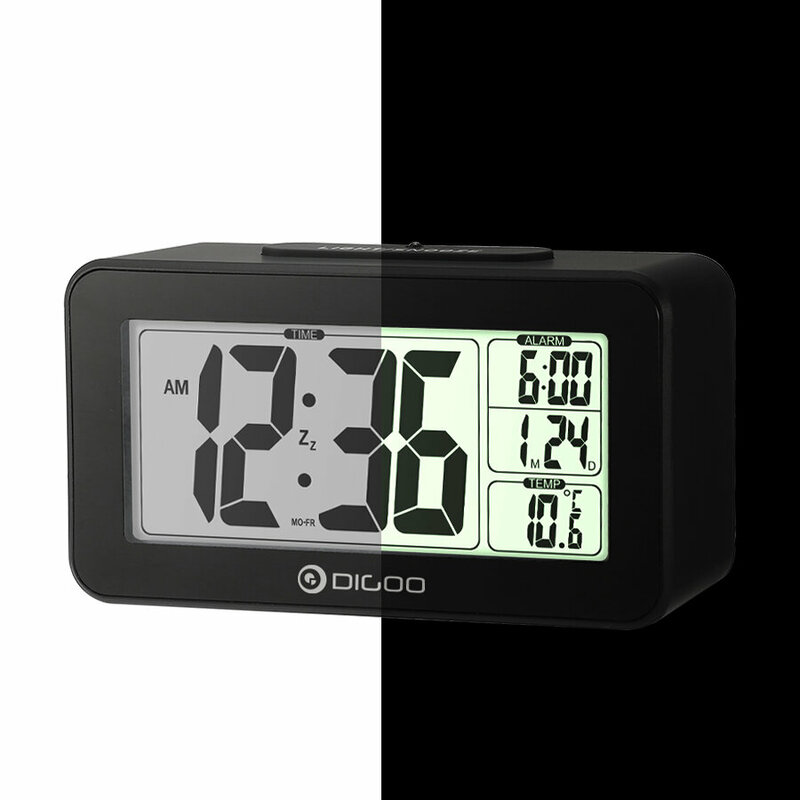 Size 132mm x 75mm x 46mm / 5.2" x 3" x 1.81"
of this elegant little alarm clock that gives you everything you need in a clock without a lot of confusing extras. 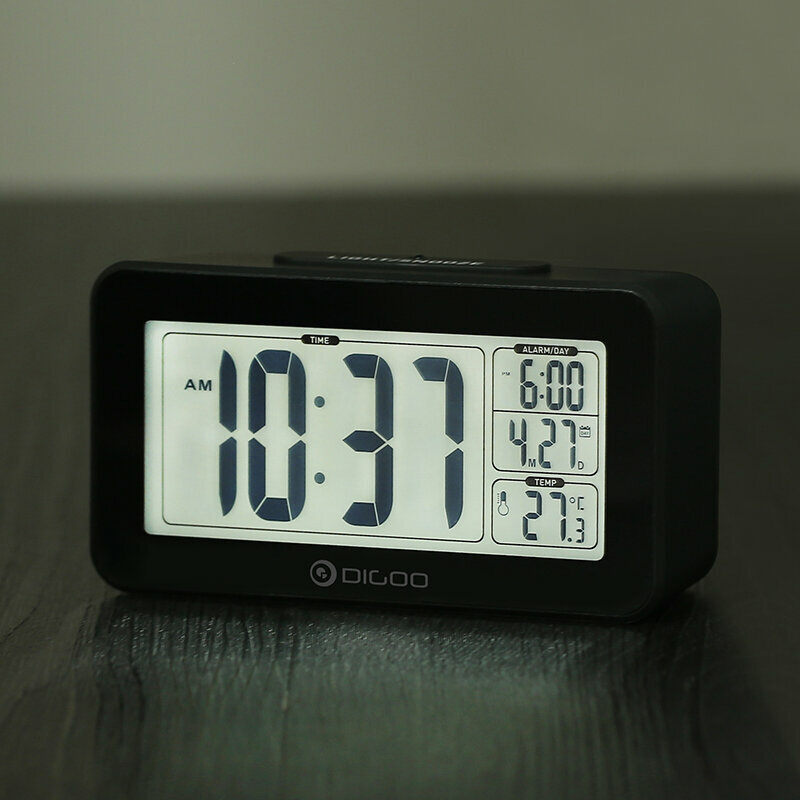 -Dual Alarm : Daily alarm (Mon. to Sun.) 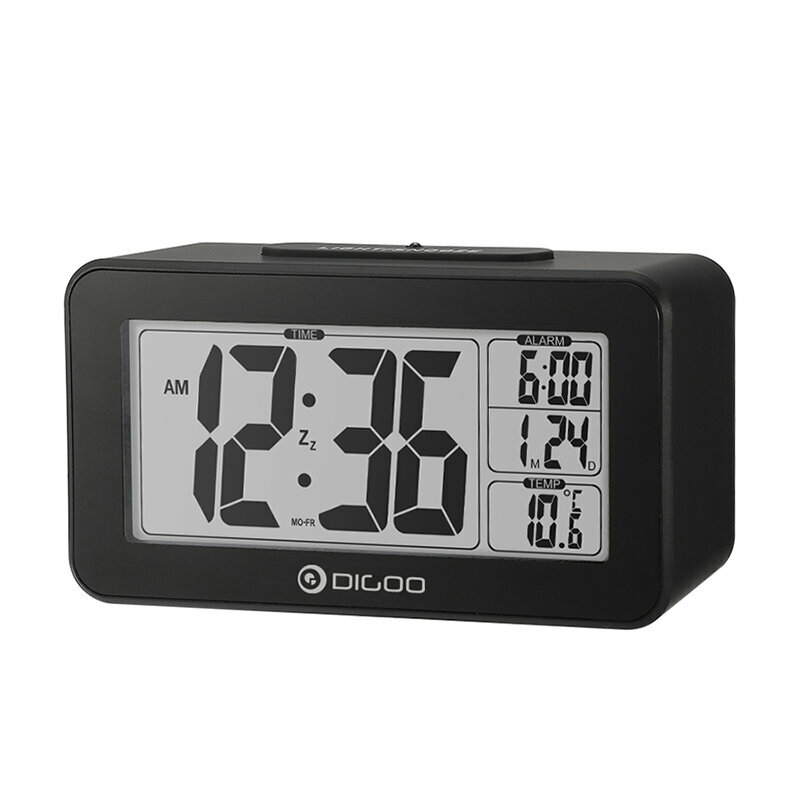 or working day alarm (Mon. to Fri.) optional. Alarm will last 1 minute if no other operations. -Snooze Function : The maximum of repeated snooze can be 10 times. 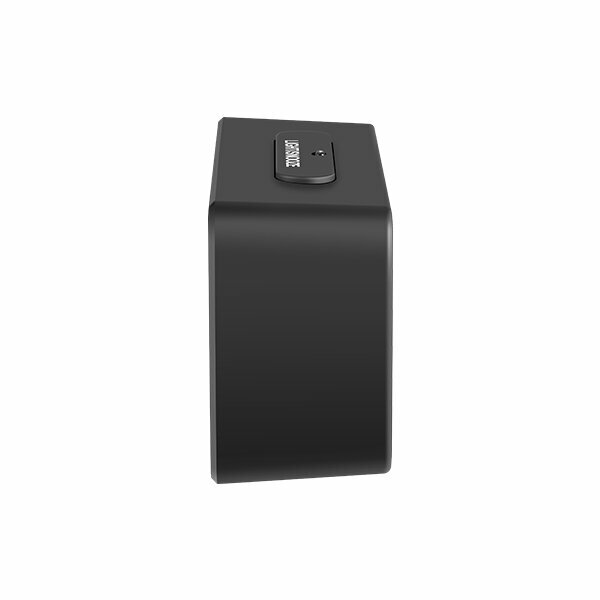 -Indoor Temperature : The temperature will be automatically updated in each 10 seconds. 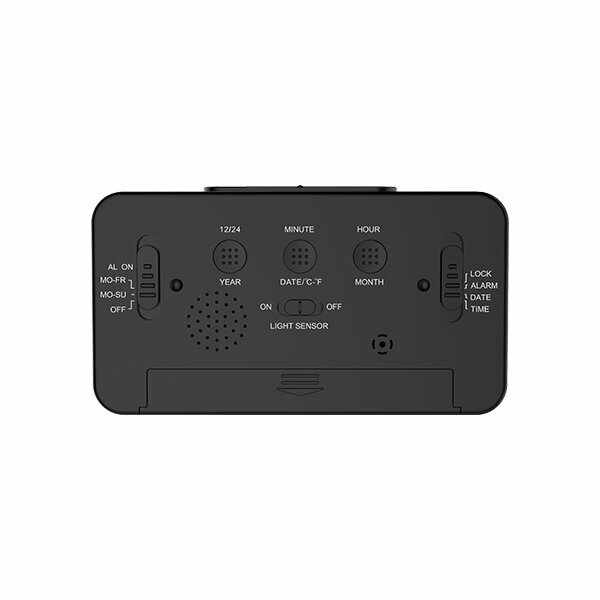 -Light Sensor : When light sensor is turned on, clock will automatically adjust its back light according to the brightness of surroundings.